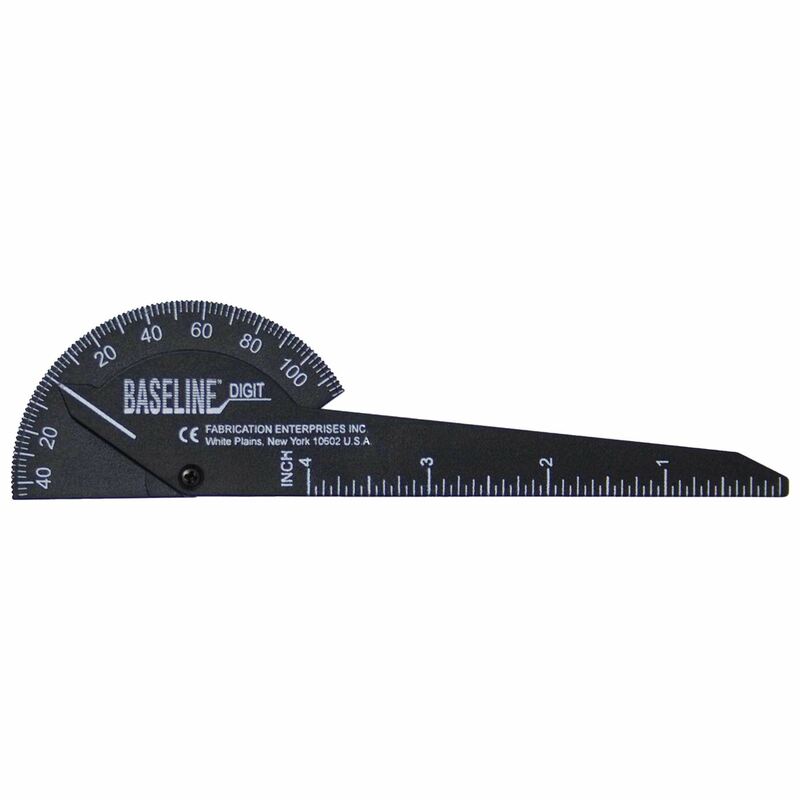 The head has two opposing 180° scales which are marked in 5° increments. 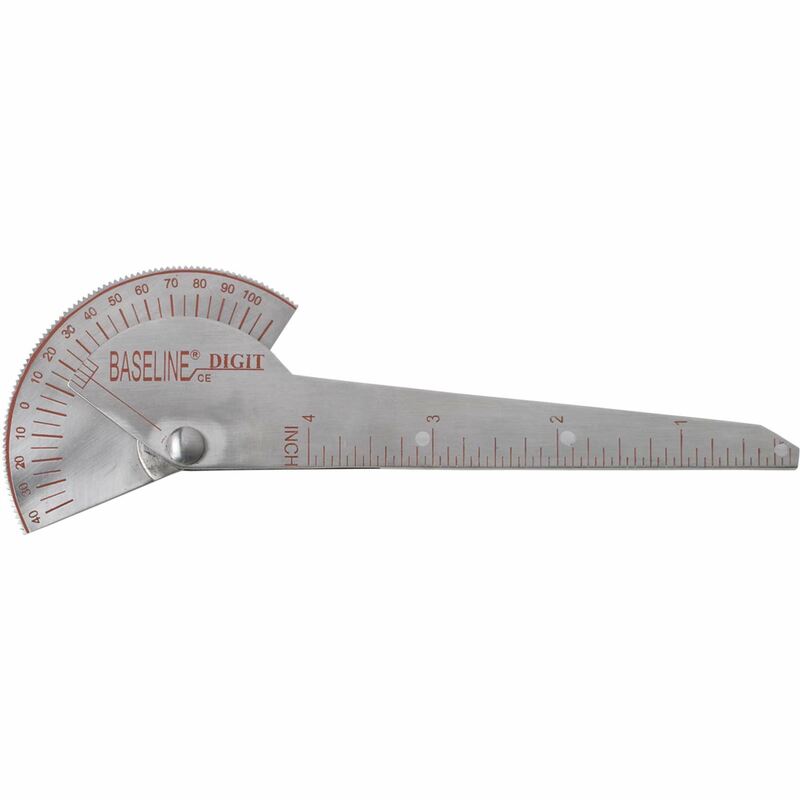 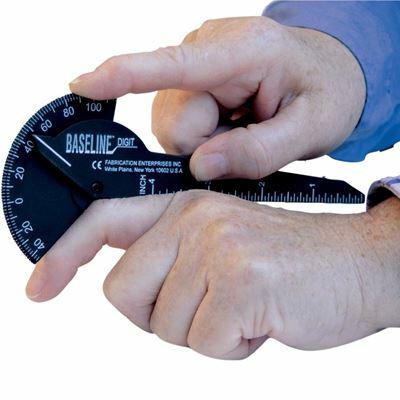 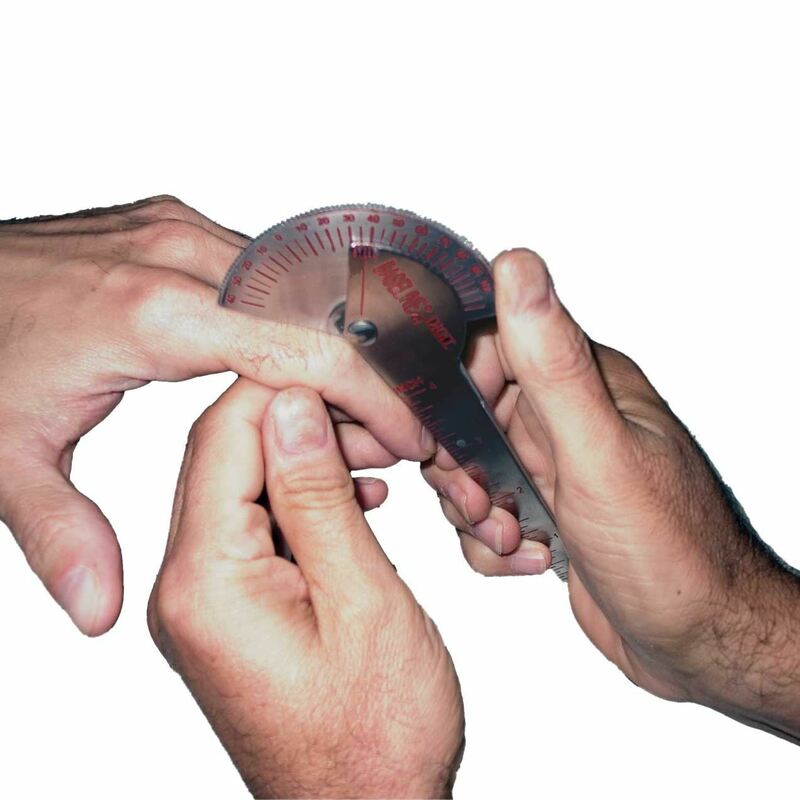 The easy to use goniometer allows the therapist to use only one hand to measure 110° flexion and 40° hyperextension. 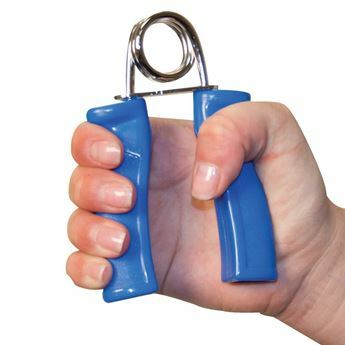 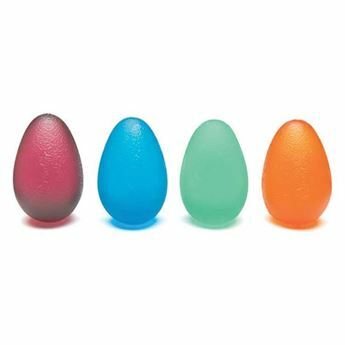 Available in stainless steel, or black plastic.